Harlem Success Academy "Got to go" list named undesirable students. 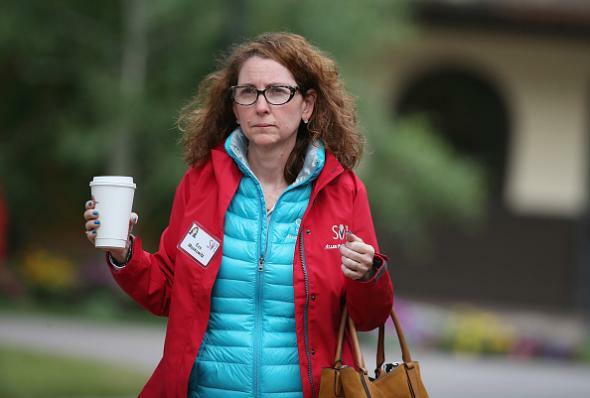 Success Academy Charter Schools founder Eva Moskowitz at the Allen & Company Sun Valley Conference on July 9, 2015 in Sun Valley, Idaho. Charter schools! They’re controversial. Some think they are the future of public education. Others believe that by separating themselves from “normal” public schools, charters undermine the idea of public education itself. An alarming report today in the New York Times about the Success Academy Fort Greene, a school in the high-profile Success Academy group founded by education activist Eva Moskowitz, tends to support latter interpretation. The Times piece begins with the case of a parent named Folake Ogundiran who withdrew her child from the Brooklyn elementary school after what she believed were repeated unfair disciplinary decisions by administrators. Ogundiran’s daughter turned out to be on a list of children who administrators hoped would leave the school. At Success Academy Fort Greene, the same day that Ms. Ogundiran heard from the principal, her daughter’s name was one of 16 placed on a list drawn up at his direction and shared by school leaders. Nine of the students on the list later withdrew from the school. Some of their parents said in interviews that while their children attended Success, their lives were upended by repeated suspensions and frequent demands that they pick up their children early or meet with school or network staff members. Four of the parents said that school or network employees told them explicitly that the school, whose oldest students are now in the third grade, was not right for their children and that they should go elsewhere. “Similar practices” were reported by current and former employees of other Success schools, the Times says, citing an incident in which a principal at another school “told teachers not to automatically send annual re-enrollment forms home to certain students, because the school did not want those students to come back.” A school lawyer allegedly described one misbehaving student’s withdrawl as a “win” for the school. Why is this a problem? Public schools are supposed to educate everyone, not just kids who are smart and well-behaved. Educators are supposed to help children who have problems learning and behaving—and I have no doubt many of the people involved in Success Academy spend endless, admirable amounts of time and energy doing so. (The fact that the sources for the Times story were Success Academy employees, presumably those who were unhappy about the practices described, suggests that not everyone involved in the organization has fallen into an ethical black hole.) Still, many charter schools’ explicit pitch to parents and politicians is that they can do a better job (as measured by standardized test scores) than other public schools, which provides an incentive to jettison slower learners and kids with behavioral issues back into the “normal” neighborhood-school system. So the toxic specter of adult educators viewing certain children as enemies and trying to trick or badger them into quitting is a logical, if not humane, outcome of the incentives involved. The Times’ report follows on the heels of Success Academy’s shocking decision, which Slate’s Michelle Goldberg covered on Monday, to publish the disciplinary record of a 10-year-old in retaliation for his and his mother’s appearance on a PBS program critical of the Success group. A Success Academy spokeswoman told Goldberg that the (possibly illegal) act of publishing the record was necessary because “somebody … deliberately appeared on national television to defame our educators and we had to bring the truth out or let this incendiary and defamatory report stand.” Yes, somebody “defamed” Success Academy—somebody who is 10 years old. Yeesh, guys.